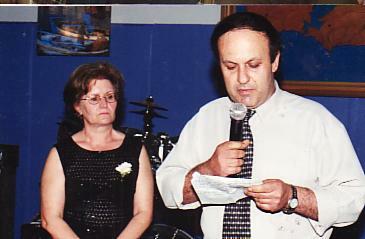 Above: My parents, Fotios and Garifalia. 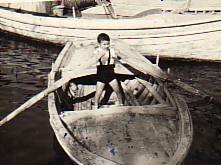 Above Middle: Rowing in my father's boat, Agios Nikolaos. 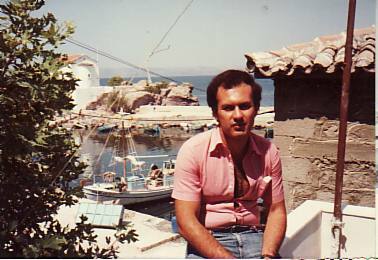 Above Right: Athens, 1972. For four years, I studied as a mechanic at a Technical College. 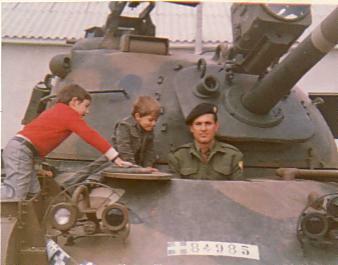 Above: In my National Service, as tank driver/mechanic. Above Right: Sykamina- with friends. 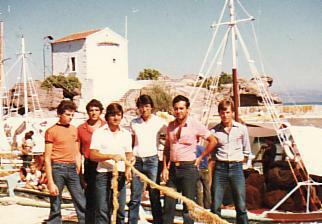 L-R: Alekos Patsis, Nikos Andreou, Panagiotis Kallipolitis, Vasilios Samothrakitis, myslef and Andonios Kalogiannis. 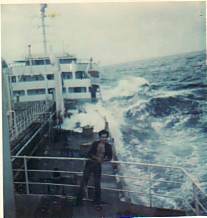 Above: Two photographs taken while I worked- as an Engineer- in the merchant navy. 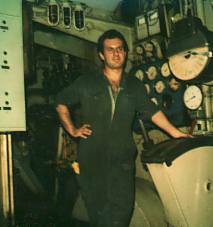 I worked in the merchant navy for over five years. 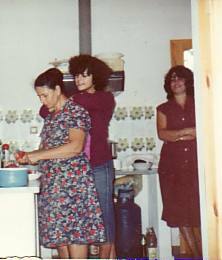 Above: My mother, Garifalia, with my sister, Maria, and my wife, Haroula. 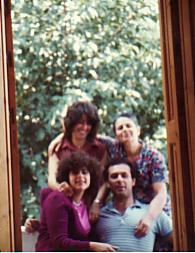 Above Right: With my mother, Garifalia, my wife, Haroula, and my sister, Maria. 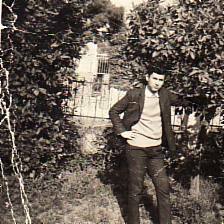 Above: As Vice President of Palesviaki Enosis of Melbourne and Victoria. Above Right: Overlooking Skala Sykamina.